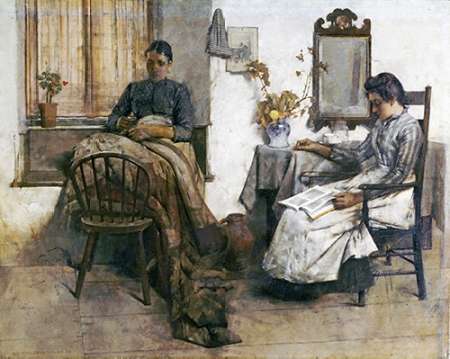 "Born in Leytonstone, Essex, in 1862 to a legal family, Albert Chevalier Taylor won a scholarship to the Slade School when he was 17.Having completed his education, he moved to Newlyn in 1884 and became one of the ""Newlyn Artists"", although he frequently also painted commissions elsewhere.In 1887, Taylor exhibited at the Royal Academy but he continued to work mainly in Newlyn. In 1891 he won a medal at the Paris Salon and from 1893 his subjects changed from fishermen to dinner parties and drawing rooms. 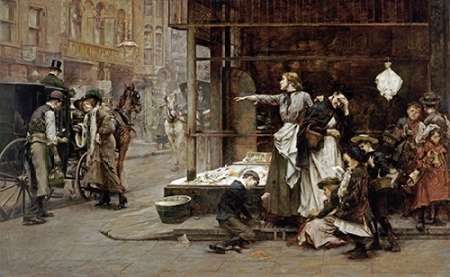 In 1895 he moved to London and this is how he became a fashionable and successful artist with many commissions.In 1910 he became a full Member of the Royal Academy, exhibiting 49 paintings in total at the Academy, and he was also the Honorary Secretary of the Royal British Colonial Society of Artists.Albert Chevalier Taylor died in 1928."